Most people are content to follow. It’s lonely out there leading the way, especially when you hear something, or just know something that others simply don’t understand. It was that way for Bill Vermillion, the visionary music director of WLOF in Orlando, a guy who wasn’t content with playing or programming just the proven hits of the day. Vermillion was a hit maker — a guy who trusted his ears, and wasn’t afraid to be wrong. That’s a key point. Visionaries aren’t afraid to be wrong. They put their reputations out there, and usually aren’t recognized as vanguards until many years after the fact. 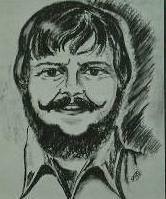 When Bill Vermillion died in 2008 I think he knew he had made his mark in the city that he called home. The fact is, no other station did things quite the way WLOF did. 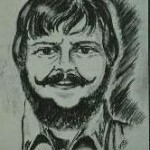 Vermillion was part of a network of smaller-market (at the time) Florida programmers that sometimes compared notes — Ike Lee at WAPE, Johnny Dark at WYND, and Bob Dennis at WUWU, among them. Breakouts at these stations got the attention of Florida’s radio powerhouses, such as WQAM, WFUN, WALT, and WLCY — and in the case of WLOF, some of the breakouts stretched way beyond our humble peninsula. From late 1965 through early 1972, WLOF charted around 600 (!) songs that failed to reach the Billboard Hot 100. That’s a staggering amount. But you can probably count almost as many songs that WLOF jumped on early that became bona fide smashes. 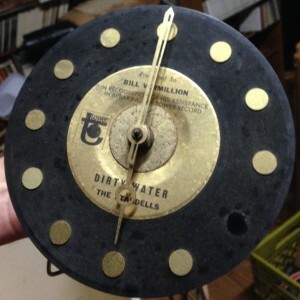 In some cases, Vermillion and WLOF were the very first in the nation to program these songs. “I’m responsible for it in the first place. It was about six weeks old and a B-side when we broke it out of Orlando, where it went to #1 on both top 40 stations (WLOF and WHOO) with NO copies for sale anywhere. The phones were constantly asking for it. It was the only time in my career where we had a #1 record with no sales. Bill Vermillion received this super-cool clock as a thank you from Tower Records, for being the first to believe in “Dirty Water”. 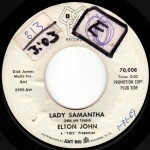 Elton John’s first U.S. single was played as an extra by WLOF in early 1969. Note the giant “E” (extra) sticker. There were many, many more hits that got their first plays on WLOF — and they cover many different styles of music. “Along Comes Mary” by the Association, “Brown Eyed Girl” by Van Morrison, “Itchycoo Park” by the Small Faces, “Love Theme From Romeo and Juliet” by Henry Mancini, and “Chick-A-Boom” by Daddy Dewdrop are just five. Hit artists such Canned Heat and Grand Funk Railroad owed a lot of their success to Vermillion. WLOF was the first AM station in America to play the Mothers of Invention, way back in August 1966. 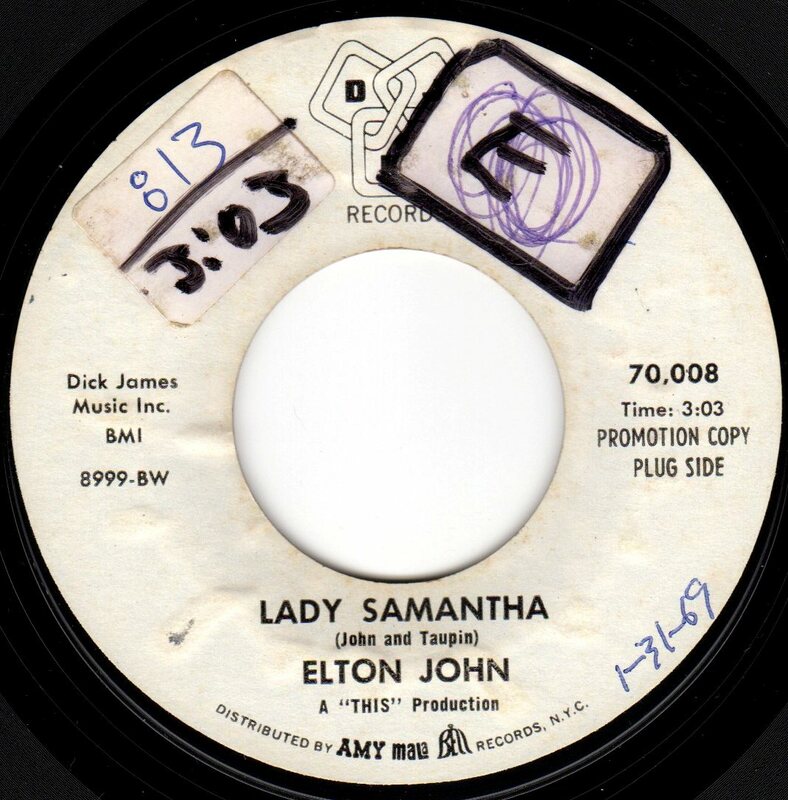 David Bowie charted on WLOF in June 1967; Elton John, who wouldn’t break through for another year and a half, got airplay back in January and February of 1969 with “Lady Samantha”. WLOF was also the first American station on which Jimi Hendrix scored a number one hit. From the Mothers and Hendrix, to Henry Mancini and Daddy Dewdrop! That was Vermillion. That’s the type of variety that made the golden age of Top 40 radio so amazing. 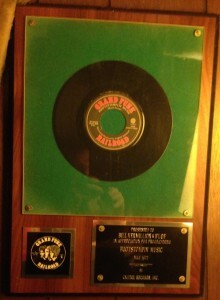 Appreciation from Capitol Records and Grand Funk Railroad: just one of many awards for helping to break future hit records. Click the image to view it full size. Yet not everything Vermillion touched turned to gold. There were many other great records that were heard on WLOF that didn’t cause a whimper outside the Orlando area. In the next installment, I’ll be noting hundreds upon hundreds of songs that were listed on the Channel 95 survey that completely missed the Billboard Hot 100. It is a remarkable list… and I don’t use that word lightly. Mary, I’m impressed by how much of that song you remember. Thanks for the comment. And let’s not forget that Vermillion didn’t stop making hits after leaving WLOF. His involvement with Bee Jay Recording Studios provided an opportunity to MAKE hit records…. 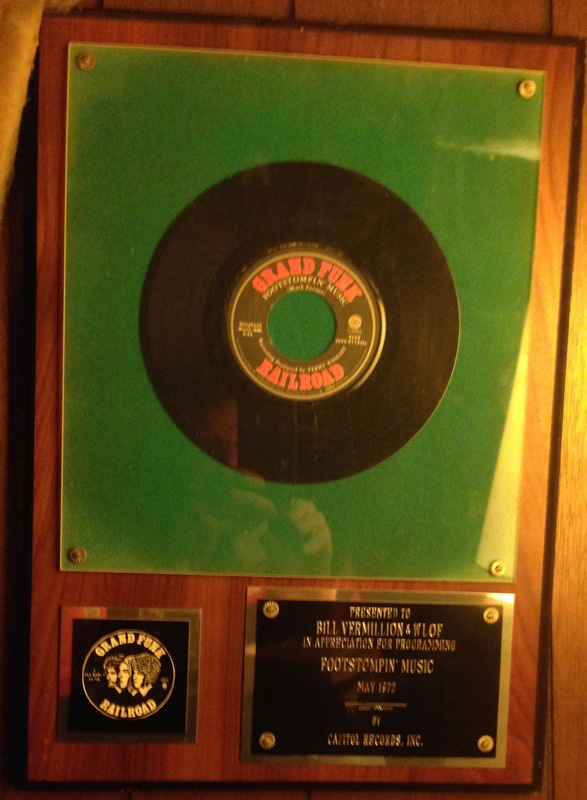 I was blessed to work with Bill at Bee Jay Recording Studios in the ’70’s. Incredible ear and a great guy, too! He is well missed. I find it quite interesting that this was posted a day before my birthday, and then shared with me by a family friend, Doug VanAllen on what would have been my father’s 80th birthday. It’s nice to see such a wonderful piece about the man I was fortunate to have as a father, with a great musical ear, and a talent for finding amazing music. He was talented beyond these facets, but it’s still great to reminisce about some of his accomplishments. Thank you very much. Bill was hands down the best at hearing a hit before it was. If I’m correct he picked on that I’ve always thought was a great record. Cant Stop Loving You By the Last Word. When I worked all nights on WHOO LOF was playing Wind Cries Mary By Hendrix and You Keep Me Hanging On By Vanilla Fudge. He was a genius, plain and simple. Best ear ever.